The store gets animated with Jamba Juice Hawaii’s first-ever digital mural and menu boards. Jamba Juice Hawaii continues its year-long celebration of its 15th anniversary in the Islands with theGrand Opening of its new store, now blending healthy and refreshing drinks in the Aston Waikiki Beach Hotel. On Saturday, August 23, from 9 a.m. to noon, come join Banana Man, Strawberry Man and other Jamba friends and ohana at this prime Kalakaua Avenue location with a wide-open view of Kuhio Beach. Enjoy free smoothie samples, coupon giveaways, cultural performances, and win prizes from the Jamba prize wheel! Be sure to use the hashtag #JambaWaikiki and follow us on @JambaHawaii on Facebook, Instagram and Twitter. Offering all of Jamba Juice’s famous thirst-quenching treats, including Hawaii’s Top 3 Favorite Smoothies—Orange Dream Machine, Strawberries Wild and Apple n’ Greens—healthy juices and sweet bowls, the Aston store is Jamba Juice Hawaii’s 33rd location statewide. “This is such a great place to open, right across from Waikiki Beach, where there’s such a diverse, active mix of customers–visitor and local families, surfers and Waikiki residents,” says Shawn Shiroma, General Manager. Come see for yourself on August 23, and celebrate all the end-of-summer fun with Jamba Juice Hawaii’s newest store in Aston Waikiki Beach Hotel. 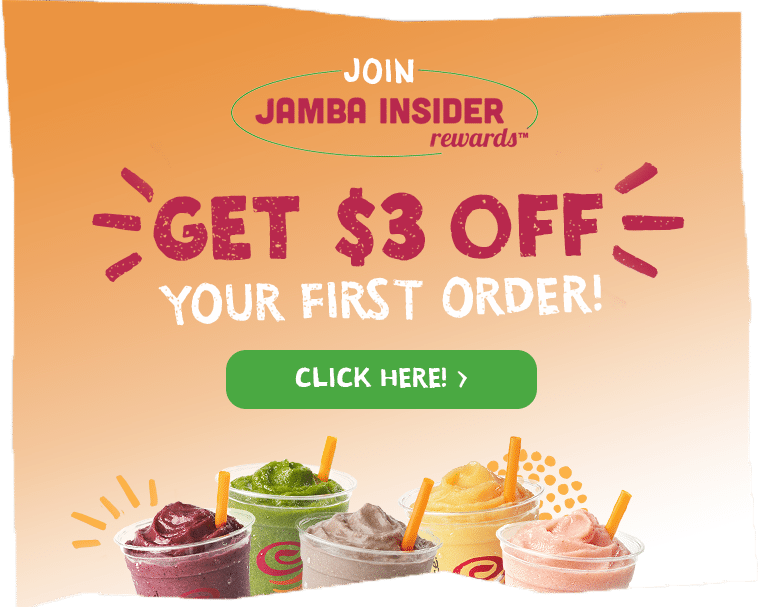 Jamba Juice is the category-defining leader in all-natural, made-to-order fruit smoothies, juices, acai bowls and other snacks for health-conscious consumers with discerning tastes. Jamba entered the Hawaii market in June 1999 and now has 33 stores whirling on Oahu, Maui, Kauai and the Big Island and employs over 700 team members. Jamba Juice Hawaii is an authorized licensee between Jamba Juice Company of Emeryville, CA and JJC Hawaii, LLC. Jamba Juice Smoothies are packed with 4-5 servings of fruit and loaded with vitamins, minerals, fiber and other nutrients.